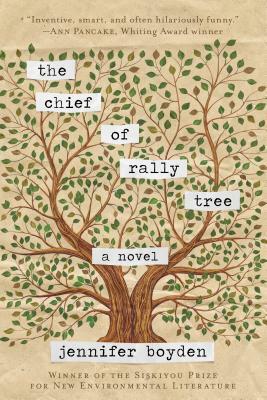 The Chief of Rally Tree by Jennifer Boyden. The book is being released by Skyhorse Publishing on November 6, 2018. The book's jacket copy says: Dina’s gone. She left a note, she left her plants, and she left what her husband, Roal, thought was her entire world. Nothing remained but some frozen dinners and the mysterious last line of her final message: I do love you ever Dina. Professor Roal Bowman, best known in the sleepy college town of Braddock as a fake Zen master who used to pretend to be Native American and never lived up to his potential, by no means saw it coming. How could he have guessed that his wife would run away to help the famous Winter Patent, a man who had literally lived with wolves, on a grand project to embrace the consciousness of trees? He thought Dina had been happy. But the more Roal digs, the more he realizes that he never truly knew or understood his wife, that he never really listened, and that now that Dina has disappeared, he must become something more―something real―if he hopes to get her back. And he’ll have to do it quickly: he’s not the only one who wants to find Dina and Winter. Let me start off by saying that I love Anne Shirley. When I first read Anne of Green Gables as a child, I was certain that Anne and I were kindred spirits. I loved her flights of fancy, her spunkiness, her intelligence, and her loyalty. I loved her so much, in fact, that I shelved my Anne books very carefully in amongst my grown-up books rather than on the kid bookshelves that my children frequently plundered. I didn't want anyone to inadvertently harm the books. So I might have actually squealed out loud when I saw that Sarah McCoy was writing a prequel to Anne's story called Marilla of Green Gables and focused on the strict, crusty, but ultimately loving Marilla. And maybe McCoy's young Marilla wasn't exactly as I would have imagined her but she was still delightful to spend time with and to watch as she evolved into the woman we come to know and love in Lucy Maud Montgomery's enduring novels. Marilla Cuthbert is thirteen years old. She helps her mother around the newly expanded farmhouse, especially since her mother is pregnant with a much anticipated third child. Matthew Cuthbert is twenty-one and a farmer down to his bones, working side by side with his father in the fields and barn. The siblings love each other and their parents very much, forming a tight knit family. When Clara Cuthbert's twin sister Izzy arrives to help her sister through the last few months of her pregnancy, Marilla is at first jealous of the bond between her mother and aunt but she quickly comes to love this unconventional spinster aunt, a talented seamstress who owns her own business off the island. Aunt Izzy's presence also allows her to relinquish some of the care of her mother and gives her the freedom to just be a young teenager, spending time with her best friend Rachel and courting with John Blythe. But the tranquility and contentedness of the farm will be shattered when Clara dies in childbirth and Marilla must cope with her grief, her confused feelings about John and the future, a growing awareness of the fraught Canadian political situation and the volatile American situation, and step into the role of the family caretaker almost in one fell swoop. 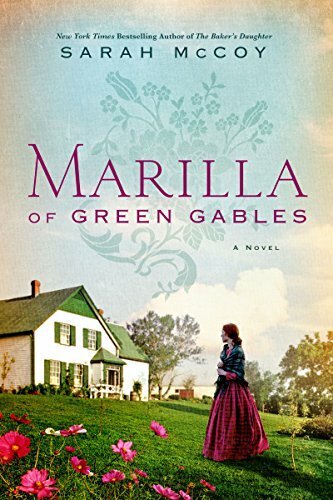 The novel expands Marilla's character beyond the practical, stern woman first introduced in Anne of Green Gables. In fact, in McCoy's version of her girlhood and adulthood pre-Anne, Marilla has a few of Anne's characteristics, even if they are toned down. She is smart and loyal and determined. She is also uncompromising in the things that really matter to her, even if standing by her principles will lose her something she doesn't even know she wants. And she has an imagination. In fact, she is the one who names Green Gables. Matthew is portrayed just as he is in the original books, constant, deeply loving, quiet, and painfully shy. McCoy has not just captured the characters though, she has drawn Avonlea and all the people in it lovingly and as completely recognizable. She includes small details that Anne readers will enjoy, like Marilla's amethyst brooch, the infamous currant wine, the cherry tree outside the bedroom window, and more. But she also moves the novel beyond just a tribute to the Anne books. She gives a complete political grounding, not only giving Marilla opinions on the topics of the day but also allows her to act on an issue about which she feels very deeply. The relationship between Marilla and John Blythe harkens back to a line in the Anne books but it is handled very deftly here, aside from one anachronistic kiss scene, and the ups and downs of the relationship between these two are satisfying, even if Anne readers know what the eventual outcome will be. There are some big jumps in time here. The novel starts with Marilla at 13 and ends with her at 40ish. These gaps in time are truly missing because the reader (at least this reader) would have liked to have seen more of Marilla's becoming who she is in Anne's life and also perhaps how she continues to navigate life in the small town of Avonlea as she ages, having chosen the exact opposite of her Aunt. Izzy fled the Island but Marilla, even in disappointment, is too rooted in the community to even consider leaving. Although this is clearly a delight for Anne fans wanting a little more insight into Marilla and Matthew, it is also a well-researched and interesting look at life in a small town in the Maritimes during a time of great foment. It takes readers through a whole array of emotions in a short span of pages and might just kindle a desire to reread, or read for the first time, the Anne books. Marilla of Green Gables is very obviously McCoy's love letter to Lucy Maud Montgomery and a well done, satisfying prequel to the beloved series. For more information about Sarah McCoy and the book, check out her webpage, like her author page on Facebook, or follow her on Twitter or Instagram. Check out the book's Goodreads page, follow the rest of the blog tour, or look at the reviews for others' thoughts and opinions on the book. Finding Pax by Kaci Cronkhite came from Adlard Coles. 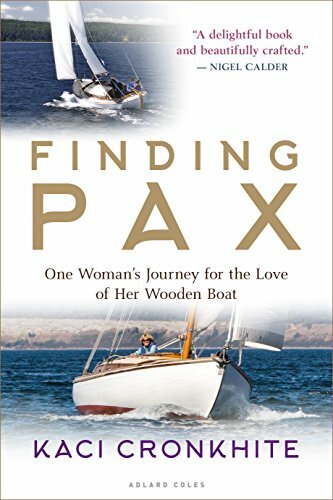 I do have a weakness for boats and I'm very much looking forward to this memoir of a woman restoring her wooden boat and uncovering the long and varied history of the boat's past and its previous owners. 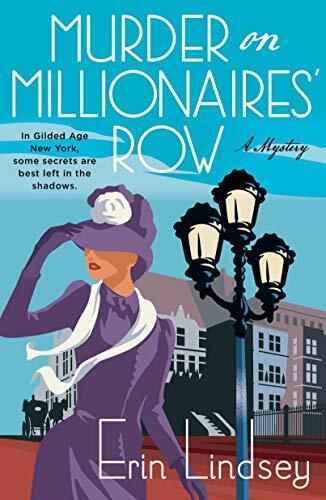 Murder on Millionaire's Row by Erin Lindsey came from Minotaur Books. This Gilded Age mystery with a housemaid searching for her missing employer looks like such a fun read. I love the UP. I have spent at least a part of every summer there since I was born. As a result of my love for it, I was very excited to see a book, especially one that is not a mystery, set there. 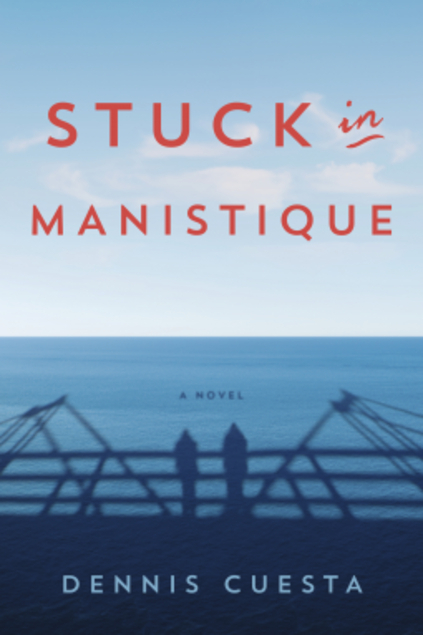 In fact, I've been to every last place mentioned in Dennis Cuesta's funny and generally readable new novel, Stuck in Manistique. Mark is a financial planner in Chicago but his Aunt Vivian has died and he needs to head to Michigan to handle her estate. He didn't know his aunt well. When he was young, she wrote him letters from her far flung postings with Medecins sans Frontieres but her letters tapered off when he was 13 and aside from later trying to alert her when his mother died, that was that for their relationship. She's left all of her estate to him despite this distance. Knowing of her long time good works around the world, Mark is more than a little shocked to discover that she had opened a small bed and breakfast in tiny Manistique, in Michigan's Upper Peninsula. 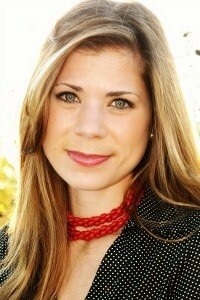 Emily Davis is a newly graduated O.D. who is on her way to her parents' house before moving to Chicago for the next phase of her education. She's taking a weekend visit to Mackinac Island with her very married boyfriend and mentor first though. As she drives north towards her new life, she debates with herself the right thing to do with regards to this relationship, especially in light of the death of a child under her mentor's care for which she feels responsible. When she decides to speed past the exits for the ferry docks to the Island, she heads into the UP and eventually into the path of a deer, shattering her windshield and landing her on the doorstep at Mark's Aunt Vivian's bed and breakfast. Although Mark has no intention of being an innkeeper, he takes pity on Emily and without telling her that Vivian has died, he allows her to stay at the Manistique Victorian. Opening his door to her eventually leads to a full house of kooky eccentrics including George, who might be in the beginning stages of dementia or Alzheimer's, and a couple intent on being the first to drive around Lake Michigan in an electric car. Add to these guests two related, perhaps identical, police officers (one local and one state), a Native handyman who has visions, and the local doctor and you've got a recipe for total chaos at the bed and breakfast. The third person narrative focus alternates by chapter between Mark and Emily as they are the two characters around whom everything revolves but also the two who have major life changing decisions in front of them. The novel is quite fast moving and very dialogue heavy, almost as if Cuesta envisions this more as a screenplay than as a novel. In fact, at times, things moved so quickly that I had to re-read pages to make sure I hadn't missed anything. I hadn't but there were gaps where a little exposition might have helped. The tone of the story changes from a sweet tale about family and relationship to a screwball comedy of sorts and then back again once the secrets the characters spend a long time hiding from each other come out. Take note that when I say relationship, I do not mean a romantic relationship; this is not a love story. As excited as I was for the setting of the novel, I don't think it totally captures the spirit of the area and the uniqueness that is the UP and its inhabitants. Of course, most of the characters are not actually Yoopers so perhaps that explains why the feel is mostly missing. Despite this (and really, most people probably won't notice this), the book was a quick, light read for a couple of hours and other readers familiar with the area will enjoy seeing their remote corner of the world name checked in a book. Thanks to the publisher for giving me access to this book to review. 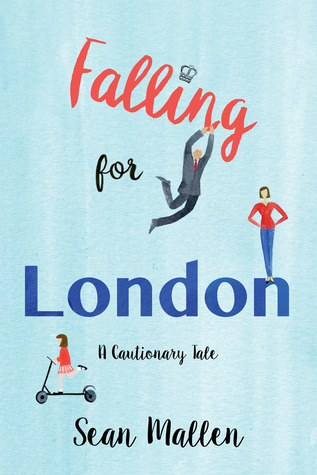 Falling for London by Sean Mallen. The book is being released by Dundurn on November 6, 2018. The book's jacket copy says: When Sean Mallen finally landed his dream job, it fell on him like a ton of bricks.Not unlike the plaster in his crappy, overpriced London flat. The veteran journalist was ecstatic when he unexpectedly got the chance he’d always craved: to be a London-based foreign correspondent. It meant living in a great city and covering great events, starting with the Royal Wedding of William and Kate. Except: his tearful wife and six-year-old daughter hated the idea of uprooting their lives and moving to another country. When was the last time you set out on a journey to an unknown place, driving or walking, that you didn't have your GPS directing you? And prior to the advent of GPS, if you're anything like me and can get lost trying to find your way out of an open paper bag, you probably had a variety of atlases and city maps tucked into every seat pocket of your car. But it's not just the utility of maps that I love, there's something about their lines and additional features too. I remember learning to read different kinds of maps my freshman year of college in Geology 101. Not only did we learn to read them, but we also got to see speculative maps of what the world used to look like before the continents took their current position. We talked about how we knew that and what that meant geologically. It was the first time I really considered the reason behind the making of a map. Betsy Mason and Greg Miller have collected a simply gorgeous set of maps in All Over the Map: A Cartographic Odyssey and not only shared the reason behind the making of the maps, but their history, what they got correct and what they missed, and I have now spent hours poring over the beautiful pictures of maps, ancient and recent, artistic, scientific, and both, from all corners of the world that are found in this stunning collection. Divided into sections of Waterways, Cities, Conflict and Crisis (aka War), Landscapes, Economics, Science, Human Experiences, Worlds, and Art and Imagination, Mason and Miller have chosen maps with interesting stories behind them, maps that are visually beautiful, maps that tell us things about past societies, maps that reflect us as we live now, and maps of places only found in our imagination. Some of the maps are very simple while others are more elaborate. Some, like the maps that the Ottoman Turks drew are pieces of hand drawn artwork, while others are much more technological computer modeled maps. Some of the maps show things that you would expect to find on maps, like the map of all the US waterways while others map things you might never have given a thought to, like the Urban Smellscape map. As you would expect of a book produced by National Geographic, this is a gorgeous coffee table book, heavy, top quality, and incredibly informative. The short pieces about each map elevate each entry from simply beautiful pictures, adding truly fascinating commentary. Did you know that the map of the Battle of Gettysburg was produced soon after the battle was over and only after the amateur cartographer, John Badger Bachelder, interviewed people who had been there. It's signed by US Army commanders attesting to its accuracy. Cool, right? And this is only one of the many stories contained here. 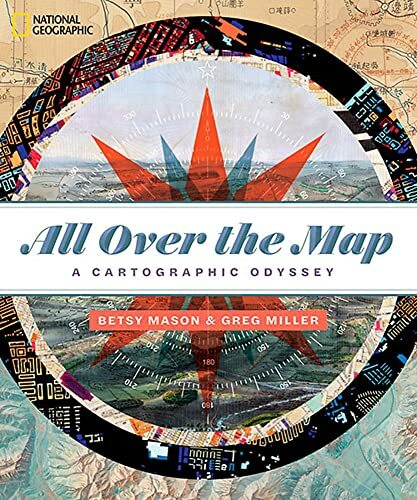 If you love maps, if you wish you'd been a cartographer, if you appreciate both the science and the artistry behind maps and map making, this is the book for you. If you ever spent time drawing your own childish maps of the imaginary lands in books or your head, this is the book for you. If you, even today in the era of GPS, secretly want to hold an atlas in your hands and trace a route with your finger, this is the book for you. Here Be Dragons. My soul will forever thrill to this phrase. Clearly this is the book for me. For more information about Betsy Mason and Greg Miller and the book, follow either of them on Twitter Betsy or Greg. Check out the book's Goodreads page, follow the rest of the blog tour, or look at the reviews for others' thoughts and opinions on the book. 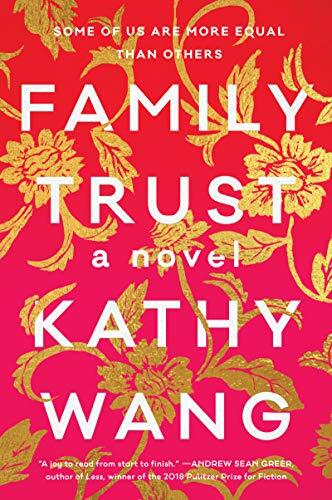 Family Trust by Kathy Wang came from TLC Book Tours and William Morrow for a blog tour. The dying patriarch of a first generation Chinese American family in Silicon Valley has a last bequest and this is the story of his family trying, or not trying, to fulfill that. Sounds positively delicious, doesn't it? 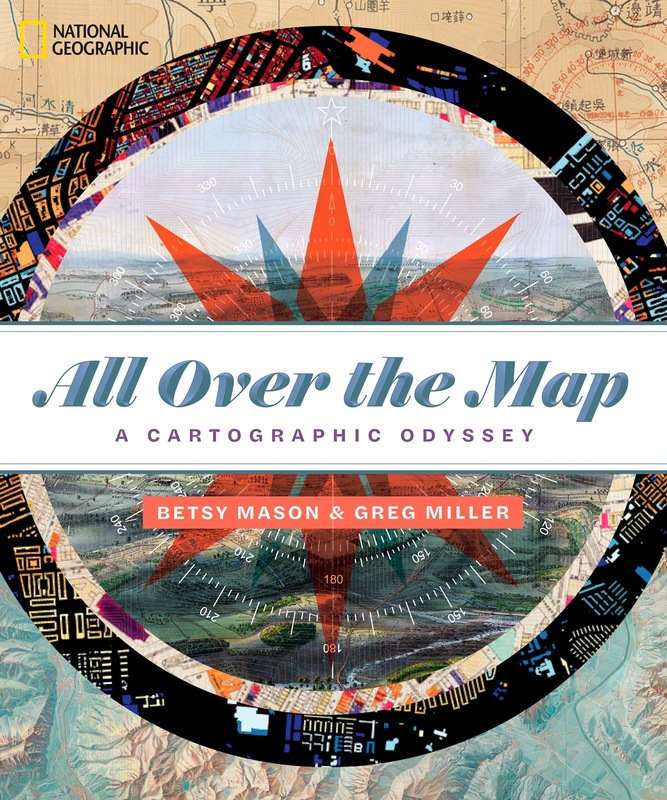 All Over the Map by Betsy Mason and Greg Miller came from TLC Book Tours and National Geographic for a blog tour. I cannot even begin to explain to you how gorgeous this book is in person. If you are a map junkie or a frustrated cartographer like me, you must see this to believe it. I'm looking forward to delving into the information behind these really cool maps. Do you believe in love at first sight? Do you believe that "The One" is out there for you somewhere? Is there anything that would stop you from pursuing the person you are so clearly fated to be with? Does friendship trump love? 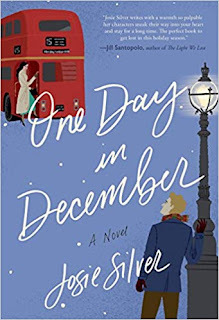 If you've ever pondered the answers to these questions, Josie Silver's engaging new novel, One Day in December, is for you. Laurie is headed home one day in December when she sees a man from her bus window. He sees her too. And somehow she just knows that he is "The One." But she doesn't get off the overcrowded bus, nor does he get on. And the bus pulls away. Just like that, he's gone. For the next year, Laurie looks for and dreams about the "bus boy" but it isn't until her best friend and flatmate, Sarah, brings home her hot new boyfriend, Jack, that Laurie sees him again. Sarah is head over heels in love with Jack and so Laurie, supportive and loyal, aching more than a little on the inside, swallows down her feelings for Jack, not letting on to Sarah that Jack is bus boy. Jack also recognizes Laurie but he too turns away from this knowledge a little regretfully. For the next nine years, Laurie and Jack develop a deep friendship with each other but go on about their lives ignoring the memory of that bus stop glance, only once guiltily acknowledging their continued pull to each other out loud. Fate has indeed brought them together in the meanest of ways. Told in alternating first person chapters, first Laurie and then Jack tell the tale of the nine years of wrong timing. Both characters are drawn as good, loyal, and kind people who have no desire to hurt those they love, no desire to be so selfish that they would sacrifice a friend/girlfriend because of the coup de feudre they felt at that bus stop. Both of them struggle with suppressing feelings for the other as their lives go on, tied to other people. Obviously this affects their relationships with their partners and because of the first person narration, the reader sees all of that struggle and guilt as well. Each passing year starts with a copy of Laurie's New Year's Resolutions, although the reader comes to discover that setting out a plan for the year rarely ends up as expected (or wished for). But Laurie's hopes lay the groundwork for the coming chapters. In addition to the likable characters of Laurie and Jack, Laurie's best friend/Jack's girlfriend, Sarah, is wonderfully drawn and well nuanced as a character. Laurie's Oscar is less fleshed out but the reader never does get to see him from an unbiased source, only through Laurie's changing perspective and Jack's irrational dislike. The amount of time covered in the novel is quite long but each year only has a few pivotal parts covered so over all, it is quite a fast paced, addictive read. This is a love triangle unlike any you've read before. The story is very visual, cinematic in scope, and it is easy to see the richly satisfying, if totally expected, final scene (among others) on the big screen. If you like romantic comedies, this is the best kind. It's a whole-hearted commitment to love and friendship. You'll be charmed and completely engaged. Once you open it, you'll be unable to put it down so don't start it at night unless sleep is unimportant to you. Prepare to catch yourself smiling and to be moved by the love that shines through each of the characters in this wonderful, feel-good novel. For more information about Josie Silver and the book, check out her webpage or follow her on Twitter or Instagram. Check out the book's Goodreads page, follow the rest of the blog tour, or look at the reviews for others' thoughts and opinions on the book. Thanks to Lisa from TLC Book Tours and Crown for sending me a copy of the book for review. When I read Anne Leigh Parrish's first book, a collection of linked short stories called Our Love Could Light the World, I got to meet the messy and dysfunctional Dugan clan. 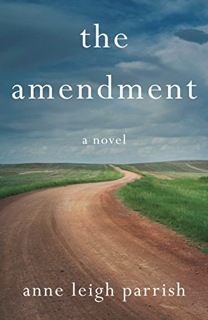 In her new novel, The Amendment, mother Lavinia Dugan, now Lavinia Starkhurst and married to second husband Chip, has a whole different life. She's now in her 50s and her children are adults. She is more than comfortable financially. And she and her husband have an easy, generally considerate, if not passionate and love-filled, marriage. When Chip is struck by lightning on the golf course and dies, Lavinia's whole existence is thrown for a loop. She's confused by her grief and by the expectations others have for her in the wake of Chip's death. She feels like she needs to take a physical trip to process and make sense of everything so she sets off alone on a road trip, heading West without any particular plan, and along the way, ends up meeting strangers, down and out, struggling, and sometimes eccentric, whose lives she touches and who, in turn, touch her life. Lavinia is a flawed and entirely human character. She can be judgmental and unkind, surprising given her own acknowledged background, but she can also be giving and forgiving, especially with her children, several of whom certainly struggle with navigating adulthood. While she seems content with who she is or thinks she is and initially uninterested in changing, she quickly realizes she doesn't really know who the real Lavinia is outside of the role she took on as Chip's wife. She'll have to change to find herself at her core. She is funny and sarcastic and grieving the loss of her husband in a way only she understands. But she is also doing the hard work of learning who she is, who she wants to be, and how she wants the rest of her life to proceed. In the process, this strong, resilient woman opens her heart a sliver at a time. Her insights into herself are realistic and her growth as a person is not overdone; change is incremental. The writing is very accessible and the pacing is consistent and appropriate. There is a nice balance of humor and pathos, with the humor dominating and keeping the mood of the novel, focused as it is on a new widow, from becoming overwhelmingly sad. Lavinia sometimes seems to treading water both before and during the trip, as people do, but there is never any doubt that this outspoken, determined woman will in fact find the road she needs to travel into the next phase of her life. If you like road trip novels, novels where women find their future, or novels of emotional resilience peppered with humor, this is the novel for you. For more information about Anne Leigh Parrish and the book, check out her webpage, like her page on Facebook, or follow her on Twitter or Instagram. Check out the book's Goodreads page, follow the rest of the blog tour, or look at the reviews for others' thoughts and opinions on the book. You can also check out my review of Parrish's previous short story collection, Our Love Could Light the World, the linked story collection with Lavinia Dugan Starkhurt in it, or of another of her short story collections, By the Wayside, both of which I liked very much. Thanks to Lisa from TLC Book Tours and Unsolicited Press for sending me a copy of the book for review. 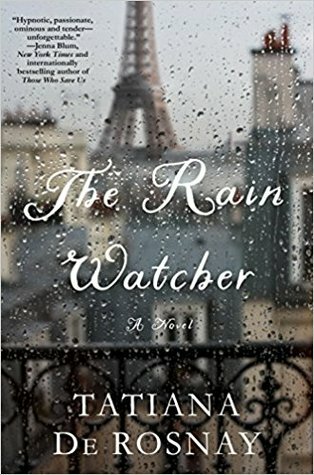 The Rain Watcher by Tatiana de Rosnay. The book is being released by St. Martin's Press on October 23, 2018. The book's jacket copy says: Linden Malegarde has come home to Paris from the United States. It has been years since the whole family was all together. Now the Malegarde family is gathering for Paul, Linden’s father’s 70th birthday. Marilla of Green Gables by Sarah McCoy came from TLC Book Tours and William Morrow for a blog tour. I mean, who among Anne's kindred spirits wouldn't want to read this one? I just about squealed when I heard it was coming out. 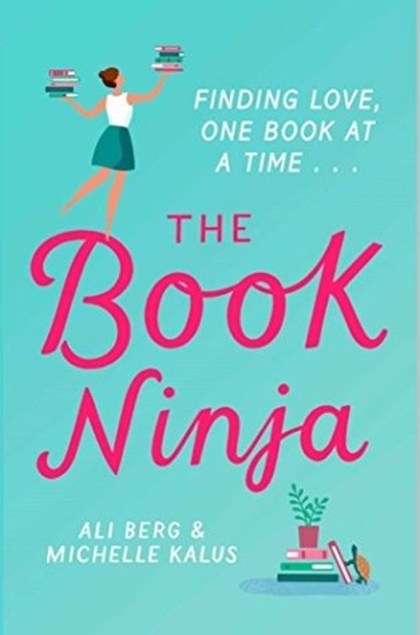 The Book Ninja by Ali Berg and Michelle Kalus came from me for myself. About woman who is fed up with online dating decides to leave copies of her favorite books, with her contact info in them, on trains in hopes of meeting the perfect man through a shared love of the same books, this sounds completely delightful! Do you ever read a book everyone else who read it is raving about and wonder if you read the same book they did? Once you compare the text of what they read and what you read and discover that the book does in fact contain the same words, do you wonder if it's a case of the Emperor's New Clothes or if you missed something somehow? (I will admit I do tend to think that it's the former much more often than the latter.) 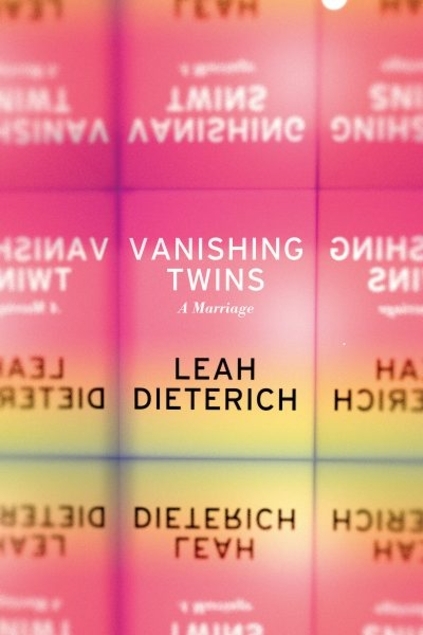 Leah Dieterich's memoir, Vanishing Twins, is a book I struggled with as I was reading it and found utterly perplexing when I discovered that so many others consider it amazing. The memoir is the story of Dieterich's sense of being one half of a whole, missing some shadow piece of herself, and searching for wholeness in ballet, in philosophy, in an early marriage, in sexual fluidity, in every aspect of her life, really. She says that she feels as if she is a twin, suggesting that she is the product of a vanishing twin pregnancy, where the mother's body (or the twin herself) reabsorbs one of the fetuses early on in the pregnancy. Unless I missed it, there is no scientific basis for her feeling; it is just a feeling she accepts as truth. And one that drives her life. She marries early and while she loves her husband, she finds the nature of monogamy stultifying so they eventually ease into an open marriage in which Dieterich explores her sexual feelings for a woman while her husband Eric has his own affair. What this duel exploration and Dieterich's living in a different city from her husband means to their marriage, her sense of herself, who she wants to be, and her acceptance of herself is the thrust of this memoir. The writing here is choppy and fragmented. It is bluntly honest and yet somehow still hard to connect or sympathize with. Dieterich struggles with balancing her individual art within a marriage, a merged life, but she looks outside of herself rather than within herself to find a scapegoat for this struggle, her need for and the simultaneous rejection of a pas de deux. It is clear she is afraid she is subsuming her real self in the heterosexual, monogamous marriage society expects of her and that this fear of losing herself as an individual is absolutely overwhelming to her. While she captures that feeling on the page, it didn't make for compelling reading for me. In fact, combine this with the style of writing and I just wanted to be done with the book. A search of self, love, and acceptance can be dynamic and gripping but, for me, unfortunately this just wasn't. Anthony McGowan is not right. If you too, are of the not right variety (as I am), you'll find him inappropriately hilarious and hilariously inappropriate. I'd throw in some quotes from the book to prove it but I'm afraid I'd want to use so many I'd be charged with copyright infringement. This is a very British, very droll book. 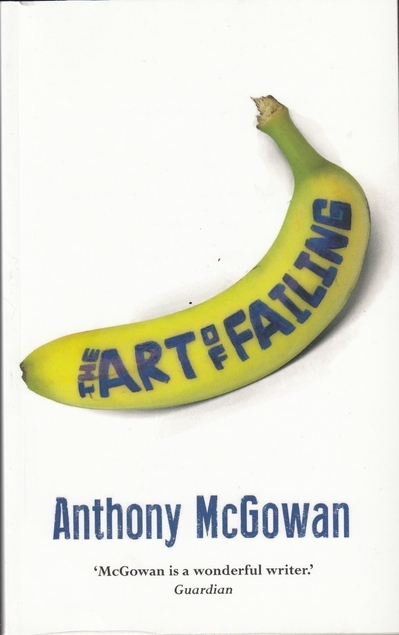 The cover is truly egregious and I'm only sad that its lack of appeal (it's a banana so lack of a peel, get it? Yeah, groaner for sure.) kept me from picking this up sooner. Written as mostly brief, almost daily observational diary entries over the span of a year (plus a few days), there's little to no narrative arc here but, trust me, you won't care. And when McGowan does in fact refer back to something in a previous entry, the reader feels as if she is an insider, someone included in McGowan's private meanderings, like an old friend would be. Each entry is fairly short and generally highlights a happening in McGowan's marriage, his professional life, or just everyday life that could, quite probably, happen only to him. We all have that one friend who is one disaster and humiliation after another, right? The bits he records are funny, well-written, and oftentimes cringe-inducing (but in a good way--if there can be a good way of cringing). He focuses on the personal, the embarrassing, and the hilarious failures, inviting the reader to laugh along with him at these nutty and outrageous occurrences. His intelligence is clear to the reader paying attention, his wit is in sharp focus, and it is patently obvious that he adores his wife and children, even if he claims to have no idea why Mrs. McG. puts up with his shenanigans and less than ideal person. He does make fun of others on occasion but most of the time he's busy taking the piss out of himself. I truly laughed aloud at quite a few passages and thoroughly enjoyed my tenure in the pages of McGowan's life. If he'd write more diary entries, I'd happily read them, lack of narrative arc be damned. I don't think I've ever read another book set in Indonesia and I am not familiar with the fairy tales of the culture, but I suspect that Lestari's book is meant to feel like one to readers who are familiar with them. She also hits all of the tropes of the romance genre here with boy meets girl, they are kept apart because of misunderstandings and other reasons, they renew their friendship and this time nothing stands in their way. It's all very charming if not quite as centered on place as I was hoping. Keenan's parents have called him home from Amsterdam where he has been living with his grandmother for quite a few years, telling him that it's time he go to university and prepare to take over his father's business rather than continue to dream of a life as a painter. Although he doesn't want to give up his dream and is quite a skilled artist, he is a dutiful and loyal son so he returns as requested, meeting his cousin, his cousin's girlfriend, and the girlfriend's dear friend when they pick him up at the airport. He is immediately captivated by the friend, Kugy, who is outgoing, confident, and unconventional. It turns out they will be at university together and they quickly become close friends themselves. In fact, Kugy, who wants to write fairy tales, lets Keenan read what she has written so far, becoming Keenan's artistic muse. Over the next four years, Keenan and Kugy, who are in the same friend group at school, always miss out on being a couple and then finally lose track of each other as Kugy intentionally distances herself from the group. Both of them go on to try to work in the conventional jobs expected of them even though their respective artistic dreams still haunt them. Their misunderstandings and trouble communicating with each other keep them apart despite the fact that they are clearly perfect for each other and need to be together for their artistic sides to bloom and flourish. The novel feels like a YA chick lit kind of book and the decisions made by some of the characters are wildly frustrating. But then the reader remembers that they are all so very young and so probably realistically drawn despite the frustrations. 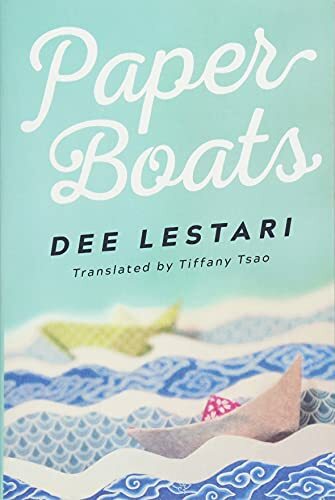 There didn't seem to be much grounding this in Indonesian culture although the conceit of Kugy writing her dreams out, folding the paper into paper boats, and sending the dreams out to sea via whatever body of water she could find was rather enchanting. Keenan as a character comes across as very naive and despite his life experiences, he still seems to be mostly so at the end of the book. For both of them, the interpersonal relationships with the secondary characters causes some of the plot tension here but they were quite easily solved in the end. Over all a light and sweet book but perhaps just a bit too easy for all that. 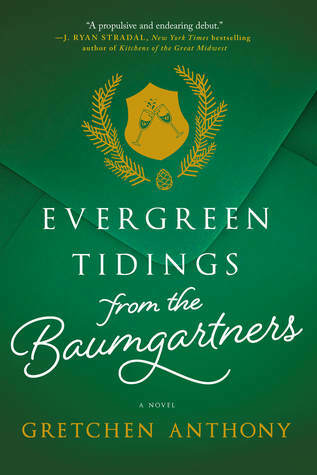 Evergreen Tidings from the Baumgartners by Gretchen Anthony. The book is being released by Park Row on October 16, 2018. Lots of people have a real fascination with lighthouses. They collect miniatures or pictures. They visit local lights and climb the steps up into the towers. Lighthouses are certainly scenic, romantic, and eternally appealing. (Just look at this cover!) But even for people with this lighthouse fascination, how much thought is really ever given to the actual keepers, their families, daily life on small rocky outcrops off the mainland, and to the dangerous but vital duties they performed, especially in the time before lights became automated when winter storms wreaked havoc on ships in treacherous waters? Hazel Gaynor's newest novel, The Lighthouse Keeper's Daughter, presents the life of Grace Darling, a lighthouse keeper's daughter who became famous in 1838 for doing what she saw simply as her duty, and of Matilda Emmerson, an unmarried, pregnant, Irish woman in 1938 banished to America and the care of a distant lighthouse keeper relative until her baby's birth. Matilda has shamed her parents by getting pregnant so they send her off to America to live with Harriet Flaherty, a relative she's never heard of before. Harriet keeps the lighthouse in Newport, Rhode Island and although she doesn't easily embrace Matilda's presence in her life, she does give her a way to stay busy and engaged while waiting for the baby. 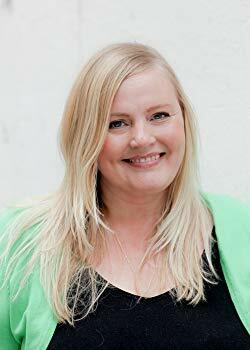 Matilda works on scrapbooks of famous female light keepers, including the famous Grace Darling, who has a connection to Matilda's own great-great granny, Sarah Dawson. In 1838, living at the Longstone Lighthouse where her father is the keeper, Grace helps out with all aspects of his job. Almost all of her other siblings, besides one younger brother destined to one day take over from their father, have moved on and made lives for themselves on the mainland or at other lighthouses. Unlike these siblings, Grace is quite content living a solitary and quiet life amidst the rocky islands and the spraying waves. Nothing has ever made her question her decision to stay with her parents at the lighthouse until she meets artist George Emmerson. She finds him living in her thoughts as she goes about the daily business of keeping watch. Then everything changes one night as a storm batters the lighthouse and Grace spots the wreck of the steamer Forfarshire and people bobbing in the thrashing sea. She and her father set off to try and rescue any survivors, eventually bringing two boatloads of people back to the lighthouse despite the terrible risk to their own lives in doing so. One of the people who is rescued is Sarah Dawson, a young mother who has tragically lost both of her young children in the wreck. Grace bonds with the devastated woman, only later discovering that she is George Emmerson's sister and was on her way to visit him. Grace's role in the rescue catapults her into a fame she never wanted, a fame that she finds intrusive and distressing. Grace's story alternates with Matilda's story as she starts to come to know the reserved and undemonstrative Harriet, slowly uncovering the tragedy in her past that Harriet refuses to discuss. She comes to understand her own mother's longstanding cold, judging remoteness and finds a happiness in her life that has long been missing, even before the unwelcomed and unexpected pregnancy. With the help of Harriet, her new friend Joseph, and the kindly, maternal Mrs. O'Driscoll, who accompanied her from Ireland and reappears in her life when she most needs her, Matilda learns to look into her heart to make the right decisions for her future and that of her baby. Based on the true story of Grace Darling and her part in the rescue of the Forfarshire survivors, Gaynor has woven an engaging tale of bravery, duty, love, and loss. Both of her main characters, Grace and Matilda, are well drawn and complete, both buffeted by the storms of life in ways that they cannot fully control. Grace's story is the more interesting, especially as it has its origin in truth but Matilda too is an engaging character. Reading of Grace's decision about honor and where her life lies is hard and affecting for sure. Her frustration with the intrusiveness of fame and the desire to go back to her previously quiet, unheralded life is absolutely palpable in the text. Both Grace and Matilda are isolated in so many ways beyond the obviousness of lighthouse living. Some of these ways are good and welcome and others are sad and heartbreaking. All of the losses, great and small, of life and love, resonate throughout both stories, leaving a mark on the reader's own heart. The connection between the women is well done; they are close but not so close as to be unbelievable. The ending of the novel is both beautiful and devastating. 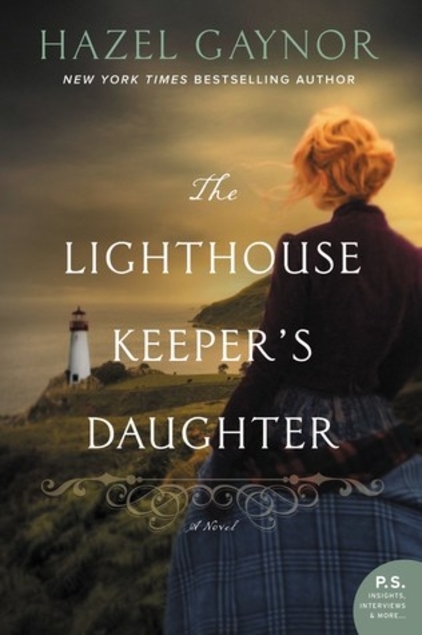 If you are a historical fiction fan, like dual story lines (both in the past here), or have secret yearnings to live a solitary life in a lighthouse, this book will be perfect for you but definitely make sure to have a box of tissues at hand. You'll need them. 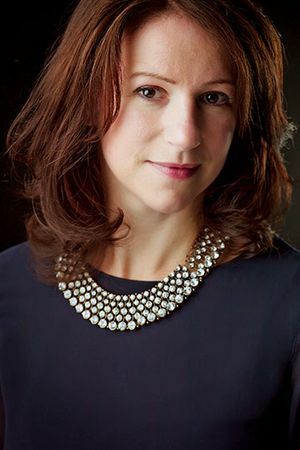 For more information about Hazel Gaynor and the book, check out her webpage, like her page on Facebook, or follow her on Twitter or Instagram. Check out the book's Goodreads page, follow the rest of the blog tour, or look at the reviews for others' thoughts and opinions on the book. 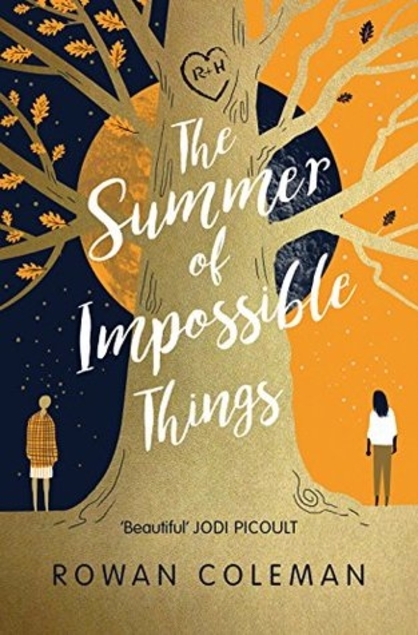 The Summer of Impossible Things by Rowan Coleman came from me for myself. 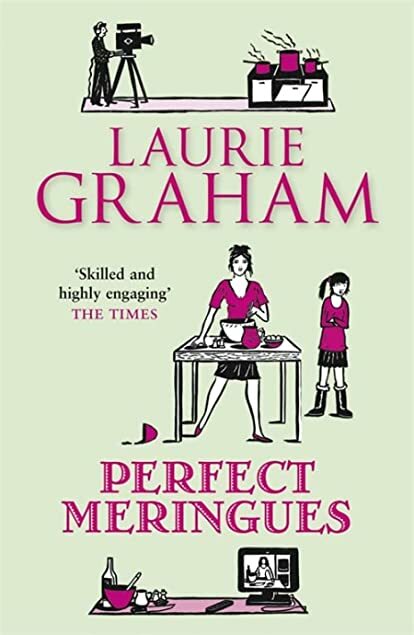 Perfect Meringues by Laurie Graham came from me for myself. Do I need more than the awesome title as a reason to read this? Not really but the premise also sounds delicious, a TV cook and single mom who needs to find her own life outside of television. 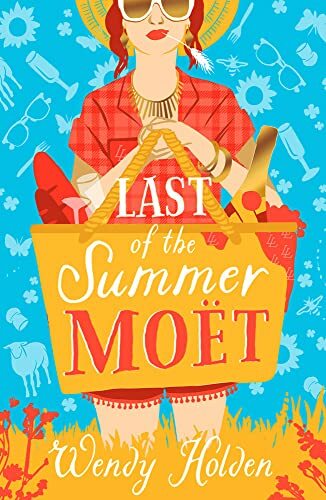 Last of the Summer Moet by Wendy Holden came from me for myself. It's been a long time since I've read one of Wendy Holden's books and I remember them as fun and frothy so I'm looking forward to this one about an editor at a glossy magazine and her exciting and glamorous friends. 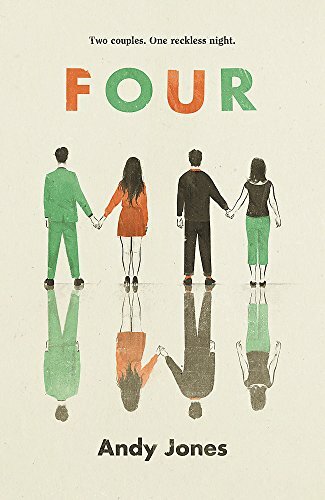 Four by Andy Jones came from me for myself. A novel about three longtime close friends, two of whom are married to each other, and the woman who is the new fourth, this could have all sorts of repercussions and craziness to it and I can't wait! 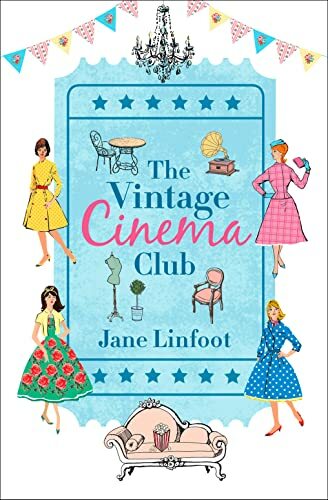 The Vintage Cinema Club by Jane Linfoot came from me for myself. A novel about three friends who run a vintage business, this looks like retro fun. 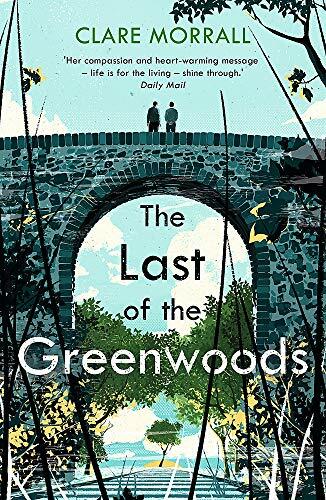 The Last of the Greenwoods by Clare Morrall came from me for myself. Two brothers who live in side by side railway carriages but never speak receive a letter from a sister they thought long dead--murdered. What's the truth? And how does it connect to the reclusive woman helping her only friend restore an old railway line on his father's property? I feel like I should insert a "dun dun dun..." here! 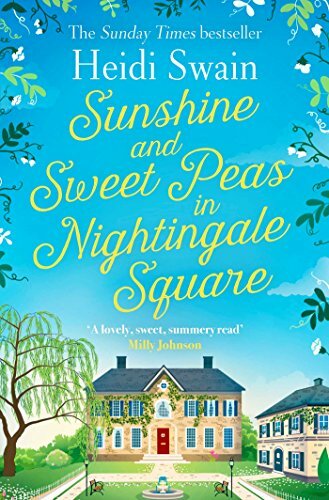 Sunshine and Sweet Peas in Nightingale Square by Heidi Swain came from me for myself. I want to live in this cover! About a woman running from her soon to be ex husband who stumbles into the perfection of Nightingale Square, becomes involved in the community, and must help to save it from developers, this looks completely scrummy. 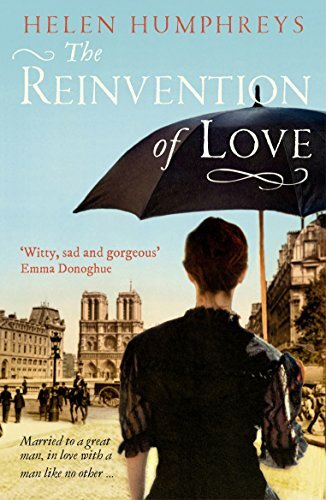 The Reinvention of Love by Helen Humphreys came from me for myself. Helen Humphreys is amazing so I can't wait to dive into this early book of hers about a man who meets Victor Hugo but is most drawn to Hugo's wife. A setting of Paris during the reign of Napoleon III doesn't hurt either. 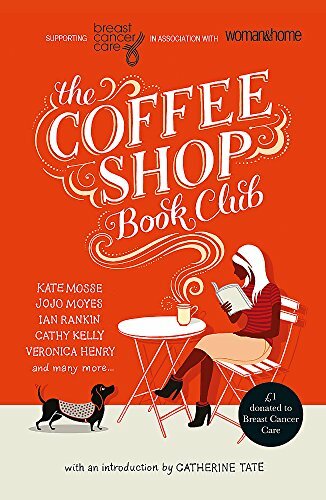 The Coffee Shop Book Club by assorted authors came from me for myself. A collection of stories about love and fidelity benefiting Breast Cancer Care by some of the biggest names in women's fiction, this is the perfect October read, right? 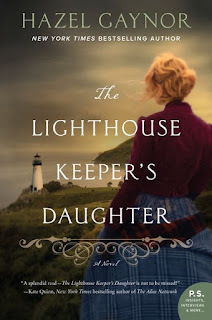 The Lighthouse Keeper's Daughter by Hazel Gaynor came from TLC Book Tours and William Morrow for a blog tour. I might have mentioned once or twice that I have a thing for water and books set by water of any kind. I also have romantic ideas about living in a lighthouse, away from other people, just accompanied by my books. 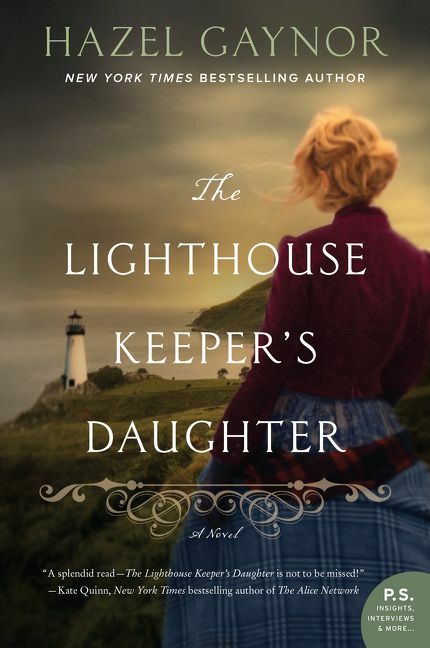 Since that isn't going to happen, I like to read about people who have chosen such a remote life (even if it is much harder than what I like to imagine) so this one about a lighthouse keeper's daughter who becomes a heroine in England after she rescues shipwreck survivors and a young, pregnant Irish woman 100 years later who is banished to Rhode Island to live with a relative at a lighthouse there and the thread that ties the two women together is tailor made for me. 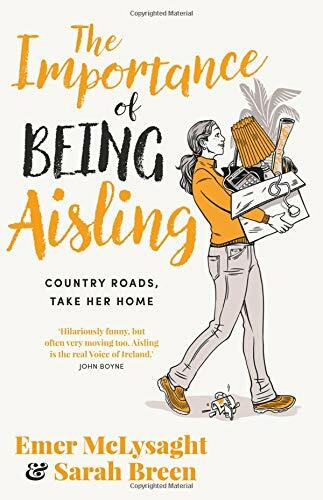 The Importance of Being Aisling by Emer McLysaght and Sarah Breen came from me for myself. Ireland, relationship, an adult woman moving back in with her mam, and a girl's trip to Vegas all combine for what promises to be a funny and delightful read. 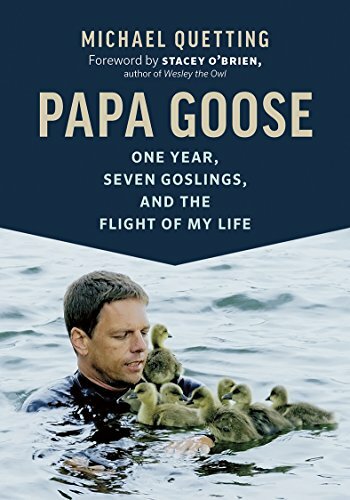 Papa Goose by Michael Quetting came from LibraryThing Early Reviewers. 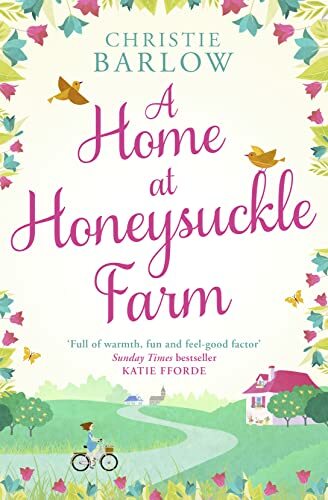 A Home at Honeysuckle Farm by Christie Barlow came from me for myself. A child who is moved from the family home to New York for reasons she doesn't understand comes back 13 years later and her friendship with a local man seems to be making everyone nervous. Sounds deliciously fun, right? 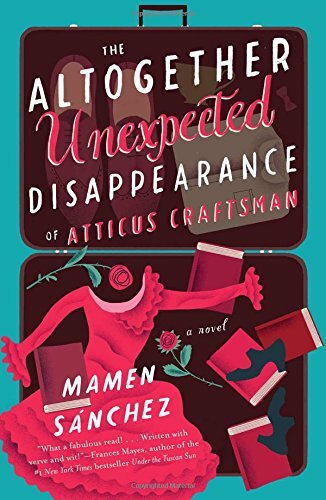 The Altogether Unexpected Disappearance of Atticus Craftsman by Mamen Sanchez came from me for myself. When a stuffy Englishman is sent to Madrid to shut down a failing literary magazine, he disappears. The five Spanish women who run the magazine will do anything to save their jobs. So what have they done with him? I do love a good literary caper and this one looks fantastic. 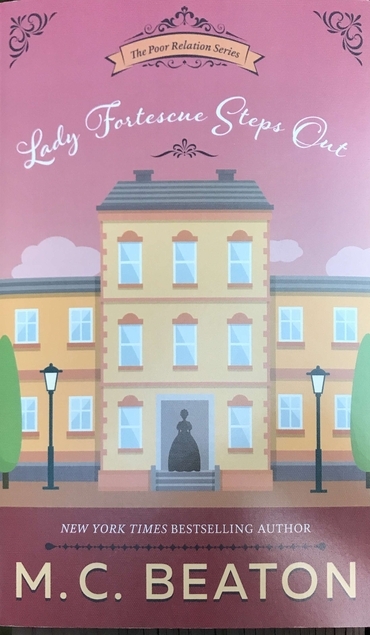 Lady Fortescue Steps Out by M.C. Beaton came from me for myself. I picked up the third one of the series at the bookstore so of course I need the first to start with, right? This is therefore the first in the Poor Relations series. Besides, I can't resist a novel about a hotel where upper crust poor relations wait on and work for the guests. 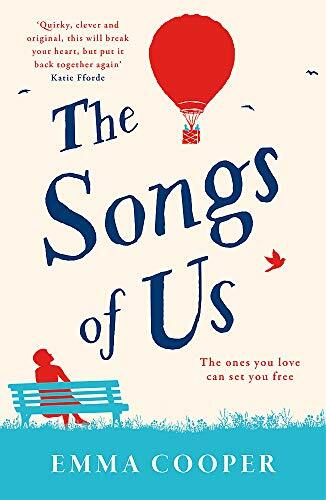 The Songs of Us by Emma Cooper came from me for myself. A mom with a neurological condition that causes her to sing when she's nervous, a father who left his family after something terrible happened, and two teenagers trying to deal with what life throws their way, this sounds like a wonderful and heartbreaking novel.